We have all shared the same experience, the sudden awareness of aroma and its transcendent effect on us. We are affected by the subtle hint of jasmine on a calm summer evening, the buttery popcorn waft drawing us to the theater concessions, the fog of freshly mowed grass enveloping us while driving down a country road, the vented crispy fluffiness serenading us to a bakeshop, even the piercing sanitized odor of swimming pool chlorine. Smells both evoke reactions and encode our memories. While scent adds dimension to every recollection, our description of odor is assigned less to its character than to its effect on our emotions and state of being. We report a smell as being pleasant, soothing, invigorating, or repulsive. So potent is the force of aroma that it activates both internal and external reactions, while existing only in the invisible ephemera of our flowing inhalations. This is no recent discovery. The power of aroma has been utilized throughout human history. From our earliest predatory days of hunting and gathering, to our first spiritual rites, our aromatic healing unguents, our enticing perfumes, we have learned to harness this unseen force to empower our will, to attain our goals. We have even learned to use aroma to alter reality, overriding repugnancy with floral essences and spices. Smelling is our first sense. Unlike seeing, hearing, and touching which are first interpreted in our associative cortex or higher brain, smelling signals go directly to the center of the brain, where the real action takes place. Tasting is largely an artifact of smelling. When tasting food, especially new or questionable foods, the nose is always the first barometer. Scent molecules contacting receptors on the roof of the nose trigger the olfactory bulb to transmit direct signals to the limbic system, the crossroads of mind and body. This direct stimulation causes reactions to occur without consideration, eliciting proto-hormonal secretions from the hypothalamus, the tiny “conductor” in the center of the brain, that affect the entire body. The direct stimulus of another brain center, the amygdala, recalls memories in the cognitive mind, the associated emotions of which compound the flow through our system system. Some aromatic chemicals actually enter the brain where they are able to facilitate higher brain function by increasing oxygen levels. Aroma is utilized today in temples, spas, restaurants, theaters, and in many public gatherings. It is a reported practice amongst realtors to bake cinnamon & apple before showing a house to help it feel like home. One friend reported her service of baking bread in the home of persons in hospice care. The aroma filled the home with comfort. It is not always convenient to “fire up the oven” to produce healing aromas. Many therapeutic aromas are available as bottled essential oils and this is the common method of providing aroma-therapy. Oils can be diffused or applied directly to hands or around the nose to be inhaled. This concentration of powerful scent molecules can produce dramatic responses. This instantaneous medicine can also be carried in a pocket for constant access. Consider lavender or orange to calm the mind, cedarwood to focus the mind, peppermint to stimulate the mind and reduce appetite, frankincense or sandalwood to arouse the spirit. The most uplifting of aromas, rose, has been lauded in song and poem and counsel. It is the prime elixir of perfumers and confectioners. Its efflorescence carries us to a place of ecstasy, a state that initiates transformational healing. 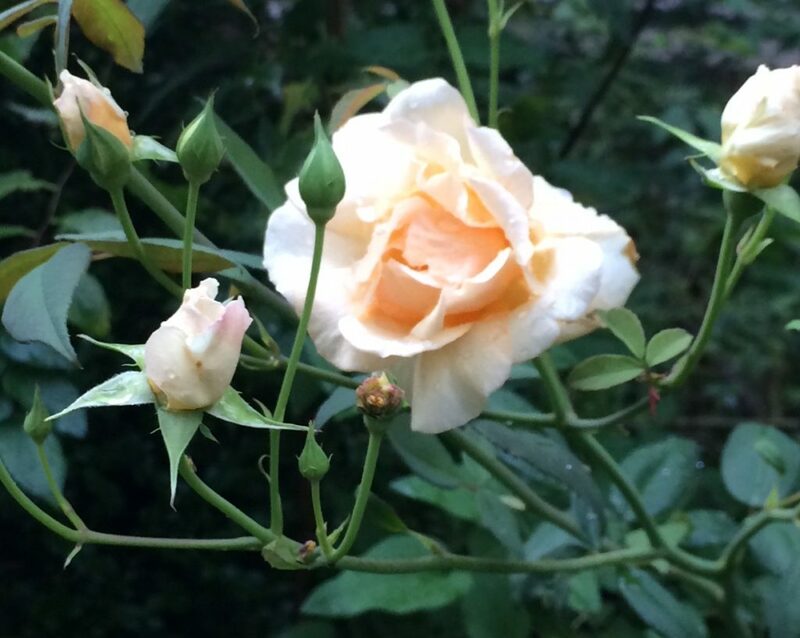 Certainly stopping to smell the roses is about more than simply slowing down. It is an entreaty to aromatic elevation of body, mind, and spirit.